Do you have what it takes to survive in such an environment and perhaps even come away with a handsome heist of your very own? 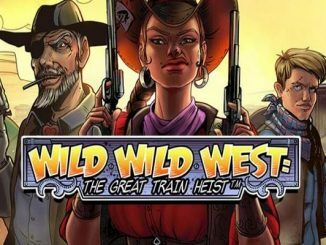 As you will see from our Wild Wild West Slot review, this online slot from NetEnt showcases the dangerous side to the Wild West as it is themed around ‘The Great Train Heist’. This online slot will show you what it must have been like to be part of a gang that was looking to make some fast money by pulling off a heist on a train. Back in those days, steam trains were not all that fast and it would just take a few guns, a small gang and some horses to pull off such stunts. Wild Wild West is a 5-reel, 10-payline slot that carries an RTP of 96.70% and has a jackpot that could reach as high as 500x your total bet. With a max bet of £100, that could be a staggering £50,000 hitting your bank account. 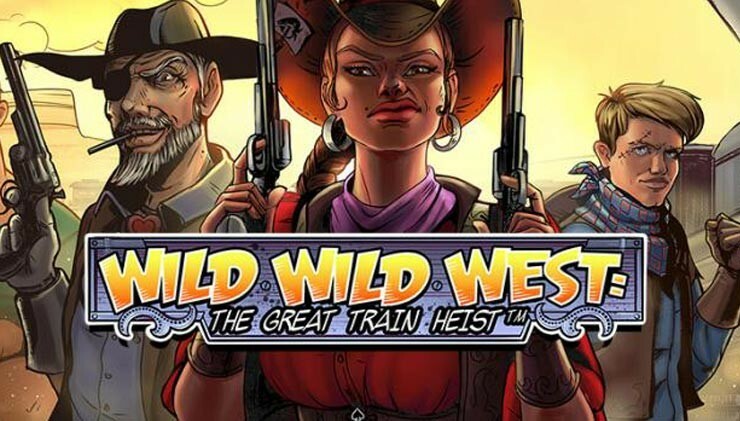 Carry on reading to find out why Wild Wild West: The Great Train Heist is an online slot that we just know will continue its popularity among players at the online casinos. There is not much more to say about NetEnt other than they are not only one of the oldest slot developers around having been in the industry for close to twenty years, they are also among the very best of them. 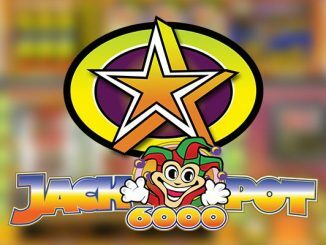 Any software developer that is responsible for some all-time favourites such as Starburst, Gonzo’s Quest, Mega Fortune, Cosmic Fortune and Blood Suckers, is one that certainly one that can be trusted to continue their expertise throughout all future releases. With such a historic legacy that NetEnt has in the online gambling industry, it is little surprise that their online slots are always among the most anticipated by players. We all know that they like to create games that have something that is unique and we are always looking forward to seeing what that is. They have managed to do this again with an online slot that is packed with intuitive features and some excellent gameplay that we are confident that most players will enjoy. You will see through the rest of this Wild Wild West slot review just why it is such a good slot and why it definitely gets our seal of approval. You will also be greeted with a high-quality of graphics that you would come to expect from NetEnt and also a wide range of lucrative bonus features that will more than keep you interested during your latest session at the online casinos. 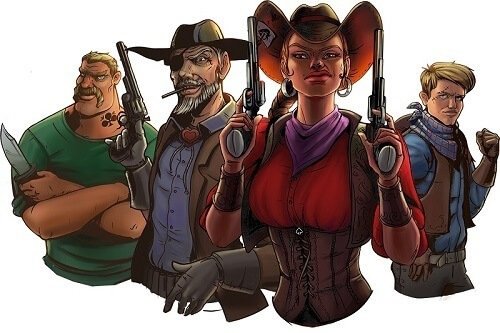 If you like online slots that are big, bold and with some good features, Wild Wild West: The Great Train Heist is going to be an online slot that you are going to enjoy. Once on your screen, you will first notice the excellent graphics that have been drawn in a comic-book style. In the background, you will notice the vast desert plains complete with cactuses and on the reels, you will see a bunch of tough looking cowboys. Along with those fantastic graphics comes some good sound effects that really do capture this era perfectly. As for the symbols on the reels, these have been drawn exceptionally well as well. We are a little disappointed that there are playing card symbols included rather than a few more bespoke symbols instead. However, these are just there to represent the low-paying symbols and besides, they did play poker back the wild west! High-paying symbols are represented by the main characters of the game, the gang that is set to try and rob a train of its cargo. There are four members of this gang and they all look like cowboys you should not mess with. Wild Wild West is a fixed-payline slot which means that your bet will always cover all ten paylines. You can alter your bet size by altering the coin values though and can essentially bet in increments between 0.10 and 100.00 per spin on this online slot. The main selling point with almost all online slots by NetEnt is the bonus features and on Wild Wild West, that is certainly the case once again. 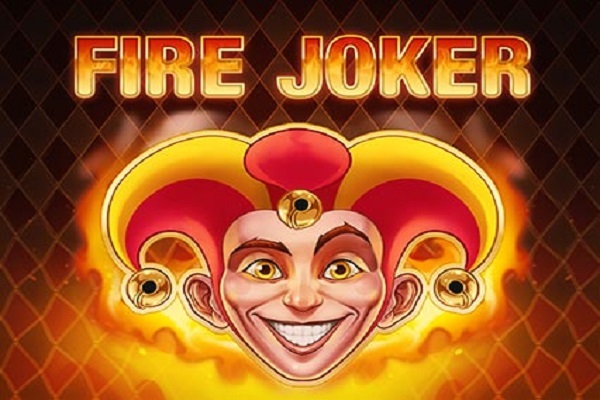 The lucrative and innovative free spins feature is definitely the best bonus feature on this slot and you can learn more about that and the rest of them below. During the base game, you will notice that there are wild and scatter symbols that can help you to win some extra payouts. Wild symbols act as you would expect, by completing winning combinations by substituting themselves for other needed symbols. They can replicate all other symbols on the reels apart from the scatter symbols. As for the scatter symbols which are represented the Big ‘7’ symbols, these are what you will use to not only bring in some decent wins on their own but to also activate the games free spins round which we will go into more detail about later. 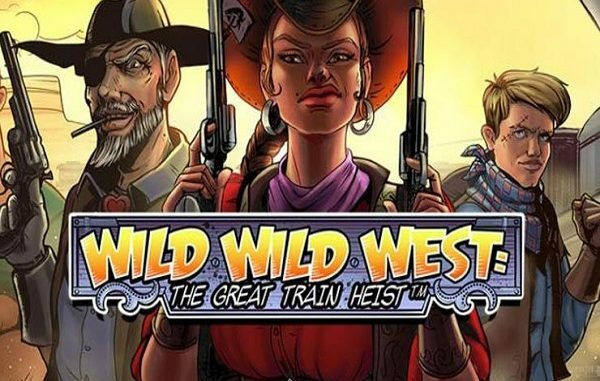 The first of the main game features on Wild Wild West: The Great Train Heist might not be exciting as some of the others but it certainly gives players the potential to get some good wins. When you manage to land three ‘SAFE’s’ anywhere on your first, third and fifth reels, you are allowed to pick one of those safes in order to review an instant win prize. These prizes can be very good for your bankroll as you can stand to make as much as 50x your total spin bet. If there is one feature that is always a firm favourite among players it is that of a free spins feature. Free spins are always a great source of multiple wins and can really help to boost the bankroll of players. On Wild Wild West, players can win 10, 20 or 30 free spins depending on how many scatter symbols land on their reels to activate the round. A minimum of three is required for the 10 free spins, while four and five will earn 20 and 30 free spins respectively. Where this free spins round differs from most others is that one of four different wild features will become a main feature of the free spins. Each of those will have their own benefits but our favourite is the expanding wilds as this can lead to multiple wins on your reels. Another good aspect of the free spins round is that it can be retriggered should you land three or more scatter symbols after a spin during the round. Can Wild Wild West be Enjoyed on Mobile? 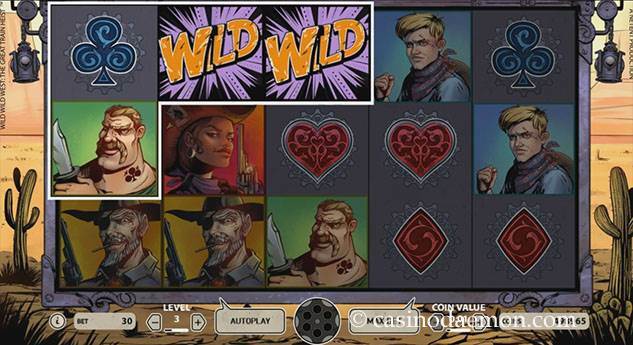 Wild Wild West was released early in 2016 and is certainly capable of being played on all mobile devices. Most modern slots are automatically designed with mobile players firmly in mind seeing as they now make up a very large chunk of the player base at the online casinos. Players want to able to play when they are on the go and out and about as well as when they are at home and do not want to be tied to a big desktop computer for all of their online gambling needs. Mobile devices add a lot more convenience to online gambling, so playing from an Android tablet or a mobile phone using iOS is something that more and more players are doing. 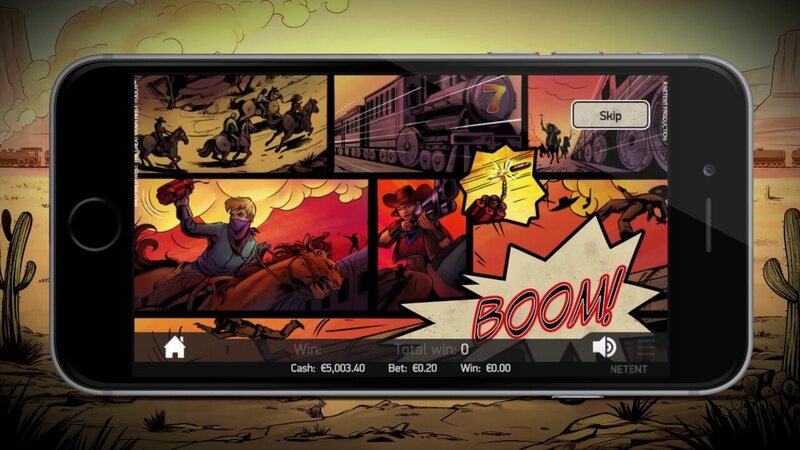 Due to Wild Wild West being completely mobile-optimised, you are going to find it at all online casinos that have also made themselves compatible with mobile devices. This could either be through an instant-play casino offering its games through a browser or on one that requires software or an app to be downloaded in order to play. Where to Play Wild Wild West? If you are interested in playing Wild Wild West: The Great Train Heist after reading out Wild Wild West slot review, you will be happy to know that it can be found at a large number of online casinos. Whenever a new NetEnt online slot is released, many online casinos will instantly look to get it among their catalogue due to the reputation that NetEnt slots have. Due to their games always being of the highest quality, you can be sure that a good quality online casino will want to be able to provide it for their players. Below are a handful of online casinos that we recommend you try out that have the excellent Wild Wild West online slot among their catalogue of games. There will be many other casinos that have this addictive online slot but those are some of the best casinos in our opinion. They have the better welcome bonuses, the better catalogue of games, are licensed by reputable regulatory authorities, have excellent customer service and are known for paying out winnings quicker than most other online casinos. Why Play Wild Wild West? The real question should be why would you not play Wild Wild West? It has just about everything that most players will want from an online slot. A decent RTP of just under 97%, a collection of bonus features that have the potential to lead to some handsome payouts, some big and bold graphics that have been done to a very high standard and a jackpot of 500x the total bet. Most of you will really enjoy the theme that takes you back to a time when gunslinging and bar brawling were both common daily incidents. You get to play the part of a cowboy yourself as you go on your mission for profits at the online casinos. Mobile-optimised and ready to play at plenty of online casinos, Wild Wild West by NetEnt is a popular choice at the online casinos for many reasons and once you check it out, you will see why. Wild Wild West was one of our favourite slots when it was first released in the early part of 2016 and we are still playing it regularly today. It is one of those online slots that you find difficult to forget despite many other new releases hitting the market all of the time. There is something about immersive yourself into the days of the Wild West and the many dangers that came with it. At least we can enjoy such a historical time period in a safe environment and also win money at the same time. Even if from this slot that you will be able to enjoy. 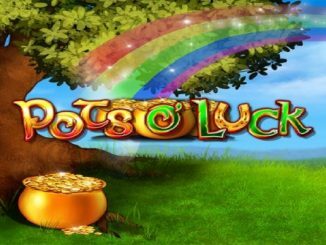 With as many as 30 free spins on offer and a bunch of other game features, you will always stand a chance of pulling in some excellent payouts when you go spinning the reels on this online slot. Go try it out today at one of the suggested online casinos and we are sure that you will more than appreciate what Wild Wild West: The Great Train Heist has to offer. Thanks for reading our extensive Wild Wild West slot review and we hope that you enjoy the very best of luck when playing it at your online casino of choice.